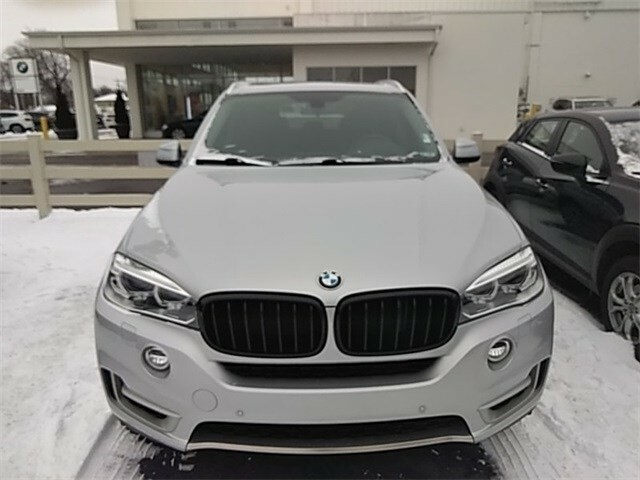 BMW CERTIFIED, ACCIDENT FREE AUTO CHECK, LEATHER, MOONROOF, AWD, 100 % SERVICED AND UP TO DATE, REAR VIEW BACKUP CAMERA, BLUE TOOTH, USB PORTS, NAVIGATION, PUSH BUTTON START, ADVANCED KEYLESS ENTRY, HEATED SEATS FRONT AND REAR, HEATED STEERING WHEEL, HEAD-UP DISPLAY, ONE OWNER, BOUGHT HERE, SERVICED HERE, ACCIDENT FREE CARFAX, ORIGINAL WINDOW STICKER $64,495, Black w/Dakota Leather Upholstery, 10 Speakers, 4-Zone Automatic Climate Control, Aluminum Running Boards, AM/FM radio, Anti-Theft AM/FM Stereo w/CD/MP3, Auto-dimming door mirrors, Auto-dimming Rear-View mirror, Brake assist, CD player, Cold Weather Package, Comfort Access Keyless Entry, Dakota Leather Upholstery, Delay-off headlights, Driver Assistance Package, Electronic Stability Control, Enhanced USB Bluetooth, Front fog lights, Fully automatic headlights, Garage door transmitter, Head-Up Display, Heated door mirrors, Heated Front Seats, Heated Rear Seats, Heated Steering Wheel, High intensity discharge headlights: Bi-xenon, High-Intensity Retractable Headlight Washers, Illuminated entry, Lumbar Support, Memory seat, Navigation System, Outside temperature display, Panic alarm, Power door mirrors, Power driver seat, Power Front Seats, Power moonroof, Power passenger seat, Premium Package, Rain sensing wipers, Rear window wiper, Rear-view Camera, Remote keyless entry, Satin Aluminum Line Exterior Trim, Satin Aluminum Roof Rails, Security system, Speed control, Speed-Sensitive Wipers, Split folding rear seat, Spoiler, Tachometer, Telescoping steering wheel, Tilt steering wheel, Trip computer, Turn signal indicator mirrors, Variably intermittent wipers, Weather band radio, Wheels: 19' Light Alloy Orbit Gray (Style 449), xLine, xLine (3E2). 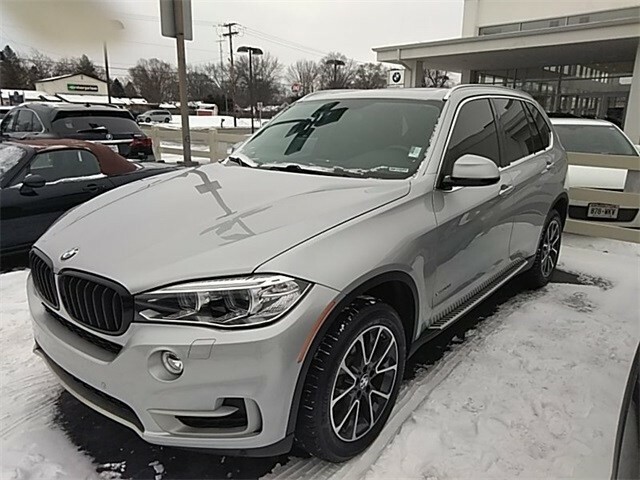 2016 BMW X5 xDrive35i Glacier Silver Metallic 8-Speed Automatic CARFAX One-Owner. BMW Details: * 1 year/Unlimited miles beginning after new car warranty expires. 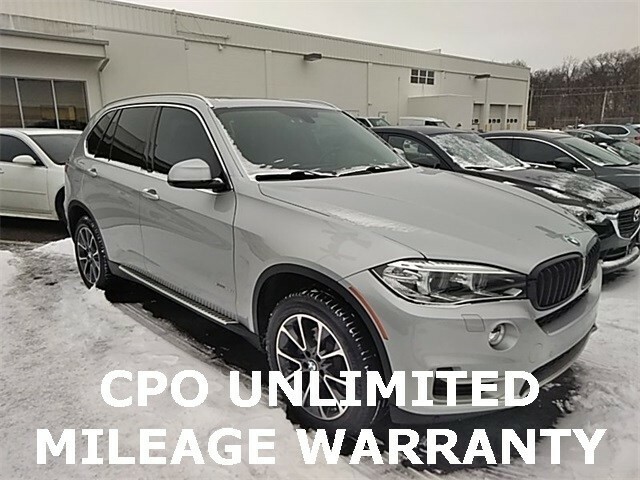 * Roadside Assistance * Multipoint Point Inspection * Vehicle History * Transferable Warranty * Warranty Deductible: $0 Awards: * JD Power Initial Quality Study (IQS) Serving the local community for 30 years!! Call us at 1-800-274-8504 or visit us on the web at www.basney.com.